Skin allergy is a common condition in worldwide population. Although this is a popular skin disease, you should not underestimate it because it can have a lot of impact on your life. 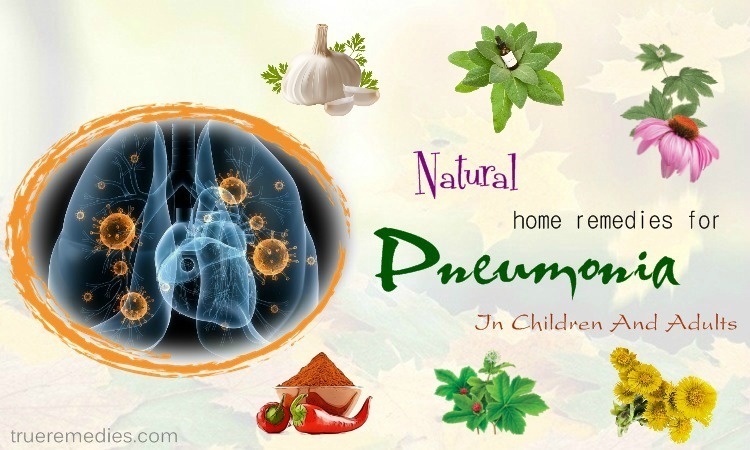 With mild conditions, the disease causes some discomfort to the patients, such as itching, fever, etc. But with severe conditions, skin allergy may leave the scar or skin color changes. In fact, this is a rather dangerous disease, but very few people know how to get rid of or prevent it properly. 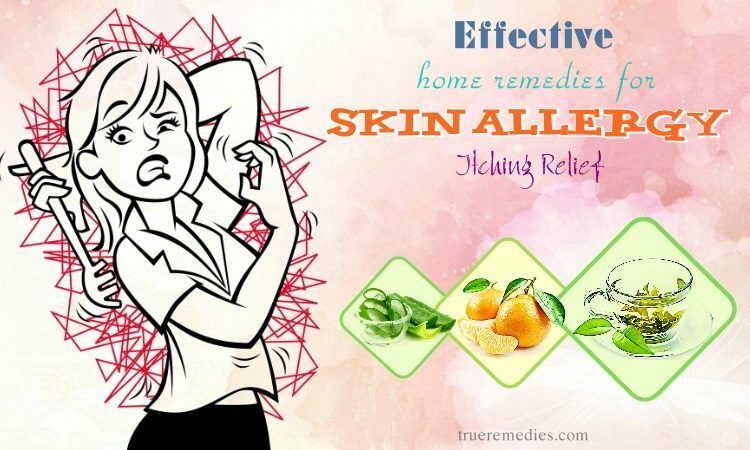 We know that the reason you are reading this article of 19 Effective Home Remedies For Skin Allergy Itching Relief is to learn how to treat this problem at home quickly, but before that, you had better understand some basic information about it. That way, you can deal with it once and for all. Skin allergy commonly occurs when your skin comes in contact with anything that makes the skin sensitive or allergic. This disease can happen in anyone, especially in people with hypersensitivity and low resistance. 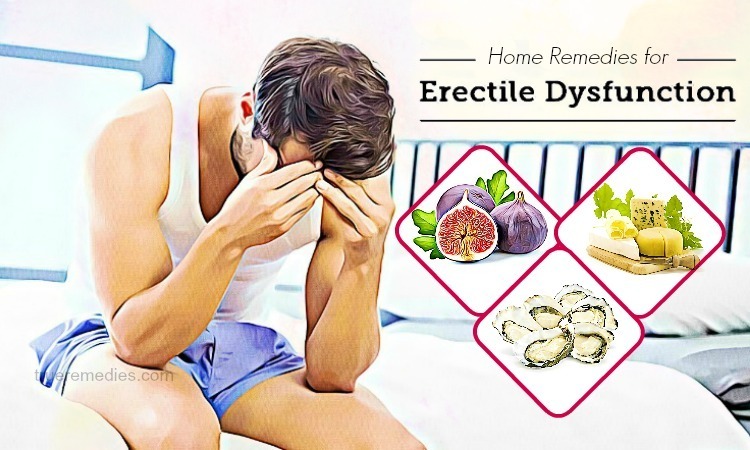 It is a chronic disease and is prone to outbreaks and self-healing after a period of time. Skin allergy can occur in any area of the skin, but the most common area is the back of the knee and the arm. The disease tends to explode periodically and progressively decreases. Skin allergies usually include skin allergy due to skin contact and skin allergy due to weather changes  . Skin allergy is a common condition that is not contagious, but it makes you feel uncomfortable. Skin allergy causes the skin to become irritated, itchy, dry and flaky. Dry skin appears on the scalp, forehead and face. Skin allergies can make you itch very much, affecting your sleep and daily activities. The severity of the disease varies from severe to mild. Skin allergy is a skin disease, but people should not underestimate it, because if not treated properly and timely, the disease will leave the scar or skin color changes. 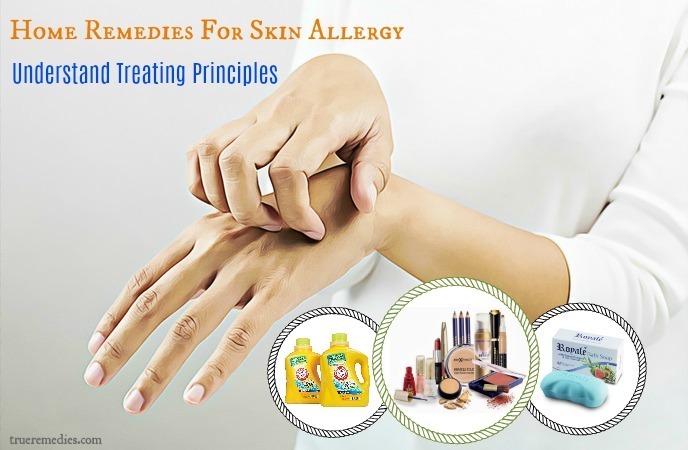 When you have skin allergy, you may have another condition like asthma or allergic rhinitis. With mild conditions, you can control the disease right at home. But with severe conditions, seek medical assistance to prevent the condition from worsening. What Are Common Causes Of Skin Allergy? If the patient is sensitive to rubber material, they may be allergic to certain fruits such as: butter, kiwi, and chestnut; these patients are prone to itching and local rash. Some nuts can cause skin allergies such as pecans, pistachios, pine nuts, walnuts. One of the most common food allergens is peanuts. People who are allergic to peanut cause very serious effects. Other foods that contain allergenic proteins include soybeans, wheat, fish (tuna), seafood (crabs, crabs, shrimp, oysters, snails …), fruit (butter , durian …), vegetables, spices (MSG, pepper), synthetic and natural colors, chemical additives and chickens. Some special medications used on the skin. Normally, you will not get allergic rash on the first contact, but gradually your skin becomes more sensitive, the next time you will have rash symptoms. Red or brownish skin areas appear on the arms, legs, ankles, wrists, neck, chest, eyelids, elbows or knees. For infants, the symptoms usually appear early. Infants may have a skin allergy even when they are from 2 to 3 months old. Dry skin usually appears on the face, scalp and may cause insomnia in infants. They can rub on the bed, rug or other items around to relieve itching. This is very easy to cause skin infections. When skin allergy occurs in children 2 years of age or older, the child often has a rash on the crease of the elbow or knee. Skin becomes thicker by scratching. Symptoms of skin allergy in adults are different from infants and children. This disease can begin to appear on their body, causing the skin to dry and flake. Patients will feel itching and itching will continue without improvement. You may experience other symptoms not mentioned. If you have any questions about the signs of the disease, consult your doctor. Health status: You may be at risk of this disease if you have certain conditions such as congestive heart failure, Parkinson’s disease or HIV. Here is some basic information you need to know about skin allergy. With this information, you must have the most comprehensive view of the disease. 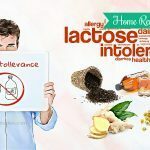 Now let’s find out about 19 out of most recommended home remedies for skin allergy itching relief introduced on TrueRemedies.com! 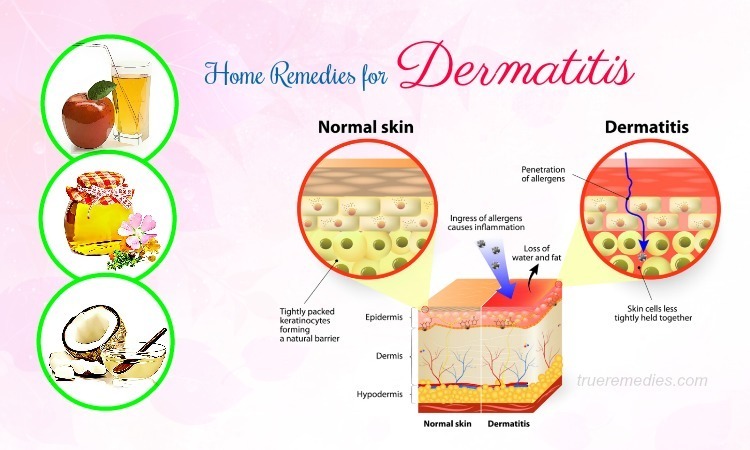 When it comes to home remedies for skin allergy, this is one of the most basic steps. When you have a skin allergy, an important principle that you need to do first is to find out the cause of the allergy. Stop using the foods, skin care cosmetics, beauty skin, soap, and detergent because they are identified as the main culprit in cases of skin rash due to allergy. The experts advised that before using any kind of foods, cosmetic, detergent or soap, you should carefully review the ingredients and their origin to make sure you are not allergic to one of the ingredients that make up them. 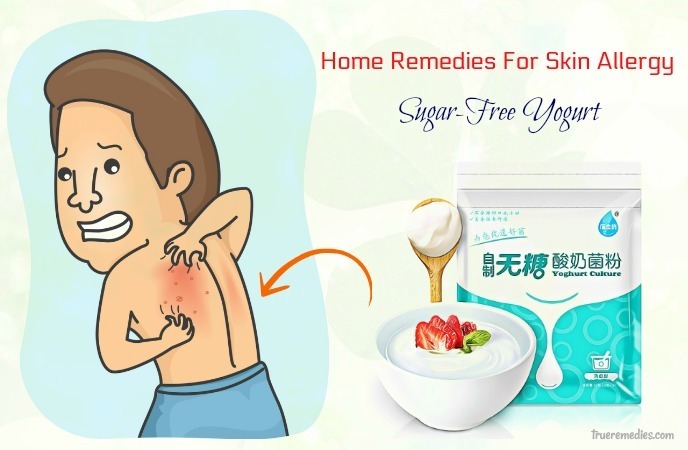 In addition, you should immediately remove the scratching because it is a common mistake that makes the condition becomes more severe and can cause skin infections. Take care of the skin gently; do not use hard cotton or something to rub strongly on the skin allergic. When itching, use ice to apply to the affected area. You should not let exposed skin contact with hot water. This will only make the situation worse. This is another must-try home treatment in this list of home remedies for skin allergy. Drinking a lot of water is a simple tip to quickly relieve itchy rash caused by skin allergy that not everyone knows. Water plays an extremely important role in the human body. You may not eat one to two weeks but still be alive, but if you are thirsty for 3-4 days, you can die. Why? As 70% of our body is water, water is distributed throughout the body’s organs and plays a vital role in maintaining the circulation within the body. Every day, the body needs to be provided with sufficient water to maintain secretion and replenish lost fluid through sweating. Therefore, if you do not provide your body with enough water, it will lead to many problems, including skin problems like allergies. Skin affected by allergies often becomes more rough than usual. If you do not add moisture to the skin, these skin lesions will gradually become worse, your skin becomes wrinkled and hard to recover. Besides, drinking a lot of water has the effect of reducing body heat and cooling the skin, which can limit the skin allergies caused by the change of weather. In order to avoid breaking the electrolyte imbalance in the body, adults should add water every day based on their body weight. Men need to add 2.5-3 liters of water every day while women need to add 2-2.5 liters of water to maintain their activity. This is one of little – known home remedies for skin allergy. After applying treatments for skin allergies, you should pay attention to skin care to help skin recover quickly. One of the simplest and most effective skin care treatments is masking with honey because honey contains high amounts of water, this can provide moisture and the necessary nutrients to the skin to make it become healthier, and at the same time this helps to limit skin dehydration . Apply directly pure honey on the skin about 2 times a day. While applying, you can perform a gentle massage so that the nutrients in the honey soak into the skin to nourish and soften the skin in the most effective way. The next treatment in this list of home remedies for skin allergy is using honey. Oatmeal has an anti-inflammatory effect, but some people with sensitive skin may have some reaction with oatmeal. Therefore, those who are sensitive to oatmeal can ignore this way. As we mentioned above, when you are allergic to the skin, moisturizing the skin is very important, and oatmeal can help you do that. Oatmeal contains saponins, which help cleanse, moisturize and remove dead cells, so you can use oatmeal as a facial cleanser to remove dirt and viruses that damage your skin. Avenanthramide in oatmeal is a natural anti-inflammatory and has a healing effect. 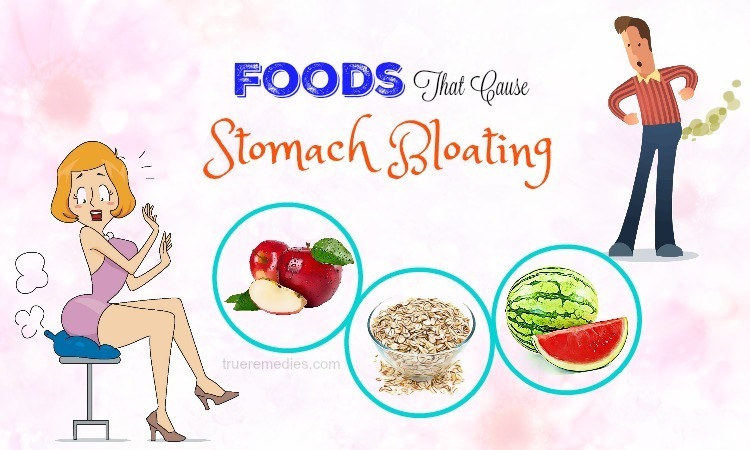 In addition, you can also use oatmeal mixed with warm water to treat itching and dry skin. This sounds strange when it comes to home remedies for skin allergy, but it works. Do you know that yogurt has a lot of beneficial micro-organisms, which help to effectively destroy pathogenic bacteria? Yes, that is true. Yogurt contains lactic acid – an acid that moisturizes and soothes the skin. At the same time, yogurt also provides vitamins and water which are good for allergic skin . 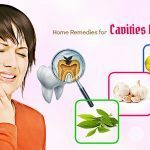 The way to apply this remedy is very simple. Just apply the yogurt directly onto your skin and let it dry again. Do this for about 15 minutes for the skin to absorb the substances. If your skin is not allergic to oatmeal, you can mix yogurt with oatmeal to mask the allergy area. Orange contains lots of Vitamin C. Vitamin C protects the skin from the harmful effects of UVA and UVB, stimulates collagen production, and prevents melasma and dermatitis. Orange is rich in phytochemical antioxidants. On average, in an orange contains about 170 mg of phytochemicals including lotions and anti-aging. Orange contains a lot of polyphenols as an antiviral, anti-inflammatory, anti-allergic, anti-cancer and anti-proliferative. Use orange as a treatment of skin allergy will give the best effect. Antioxidants in oranges help transport oxygen throughout the body, triggering a detoxifying process, especially detoxification. So if you eat orange regularly, your skin will be protected from free radicals, reducing the risk of skin allergy. The way to implement this method is very simple, you only need to drink a cup of orange juice every day in a week. Perform this method 2-3 weeks for the best effect. Prepare 100 grams of orange peel, 100ml of water. Rinse the orange peel and add the orange peel into the water then boil them. Leave for 30 minutes after boiling and extract the juice of orange peel. Use the juice to lightly spray on skin allergy. Massage gently in a clockwise direction. Then rinse your skin allergy again with water. Prepare 200 grams of orange peel, 10 grams of rose petals and 2 teaspoons of turmeric. Rinse the orange peel and rose petals, then dry them under the sun or grill. Mix orange peel and rose petals, then grind them in the grinder. Add turmeric powder to the mixture then add 3 tablespoons of water to form a thick mixture. Use the mixture above to apply to your allergy skin area. You can use this method 2-3 times a week for best results. Prepare a half of orange, a box of yogurt without sugar. Squeeze orange juice, then mix orange juice with yogurt. Use the mixture to apply to your allergy skin. Massage gently and leave for 30 minutes. Then rinse your skin with water. This is one of the little-known home remedies for skin allergy. Grapefruit is rich in vitamin C and vitamin E, which improves the skin’s horn and reduces the level of allergy skin. Grapefruit also contains a substance called limonoids, which helps prevent tumors by promoting an enzyme that acts on the liver to promote the elimination of toxins from the body. Limonoids also help fight cancer of the skin, mouth, lungs, stomach. The use of grapefruit daily as a treatment of allergy skin will give the best effect. The way to implement this method is very simple, you only need to eat a grapefruit a day, 2-3 day a week as a treatment of skin allergy. You can also drink 3 cups of grapefruit juice for faster performance. Prepare 3 tablespoons of grapefruit oil, 1 tablespoon of olive oil. Mix the grapefruit oil with olive oil. Use the mixture to apply to the area of skin allergy. Massage gently and leave for 5 minutes then rinse with water. Prepare the peel of a grapefruit, 2 tablespoons of olive oil. Rinse the peel of grapefruit then grind it in the grinder. Add olive oil and 200 ml water with the grapefruit. Boil the mixture for 30 minutes and let the mixture cooling. Extract the juice of grapefruit and olive oil. Use the mixture above to apply to the area of skin allergy. Massage gently and leave for 10 minutes then rinse. Ginger has 2% – 3% essential oils, 5% resins, 3% fat, starch and spicy substances like zingeron, shogaola. Ginger and ginger oils are also believed to provide many health benefits. Regular use of ginger helps prevent gallstones, dysmenorrhea, prolong lifespan, relieve stress, decrease blood cholesterol … Ginger also acts as the antihistamine and helps to treat allergies. The way to implement this method is very simple, you only need to cut a slice of ginger then apply it into your skin allergy. Leave for 10 minutes and rinse your skin again. Do this method 2 times a day and 4-5 days a week for best effective. Prepare 1 ginger, 2-3 tablespoons vinegar, 200 ml water. Rinse ginger, then grind it in the grinder. Add ginger and vinegar to 200 ml of water and boil them. After boiling, leave for 15 minutes and use the mixture above to drink. You can also use the mixture to apply to the allergy skin combined with gentle massage. Implement this method for 4-5 times a week for the best performance. Prepare 1 ginger, 200 ml wine. Rinse ginger before grinding it in the grinder. Put ginger in wine and leave for 2-3 days. Use the mixture to apply to the allergy skin. You can apply this method as a treatment of skin allergy for 4-5 times a week to get the best performance. Avoid using ginger with aspirin and coumarin (at least 4 hours away). Do not use ginger for the preparation for surgery and postoperative, bleeding hemorrhoids, nosebleeds, bleeding teeth, coughing blood, vomiting blood, blood in the urine. Do not use ginger for people who get sunburn, sweating, high fever is not cold. Do not use large amount of ginger in many days for people with diabetes, heart disease, and pregnant women. Using aloe vera is considered one of the best natural home remedies for skin allergy itching relief. Aloe vera contains a large amount of water that is moisturizing, providing nutrients which help to heal skin, healing wounds, treat minor burns and rash skin itching … In the resins of the aloe leaf is plentiful anti-inflammatory, anti-bacterial which are very good when used to treat acne, skin diseases, healing of skin lesions, and skin allergy. Aloe Vera contains the essential vitamins and minerals, such as vitamins A, C, E, B1, B2, and B12. They are essential for the regeneration of new skin cells, helping the skin to be whiter. Therefore, the use of aloe vera to treat skin allergy is very suitable. Rinse the aloe vera then peel it. Grind the aloe vera and take the juice of it. Use the aloe vera juice to apply to your skin allergy. Leave for 3 minutes and rinse your skin allergy again with water. Prepare 200 grams of aloe vera, 3-4 teaspoons of honey. Rinse the aloe vera and grind it in the grinder. Use the mixture to apply to your skin allergy and gently massage. You should do this method 3-4 times a week for the best effect. Green tea is a natural herbal remedy for skin problems and skin diseases. It contains a lot of vitamins, antioxidants that have bactericidal and anti-inflammatory effects. Using green tea to treat skin allergy will be very effective. 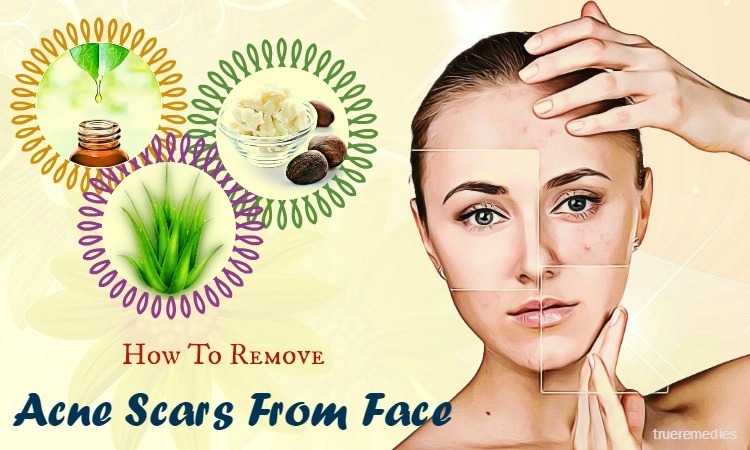 The way to implement this method is very simple, you only need to grind some green teas and apply it to your skin allergy. Leave 5 minutes and rinse your skin allergy with water. Prepare 20 grams of green tea leaves, 3 tablespoons of salt and 500 ml of water. Rinse the green tea leaves and boil them with water. After boiling, let the green tea cool down and add salt. Use the mixture to soak your skin allergy area. These are home remedies for skin allergy that have been tested for safety and effectiveness by many people. Just simple apply them to get rid of the discomfort that this condition brings to you. 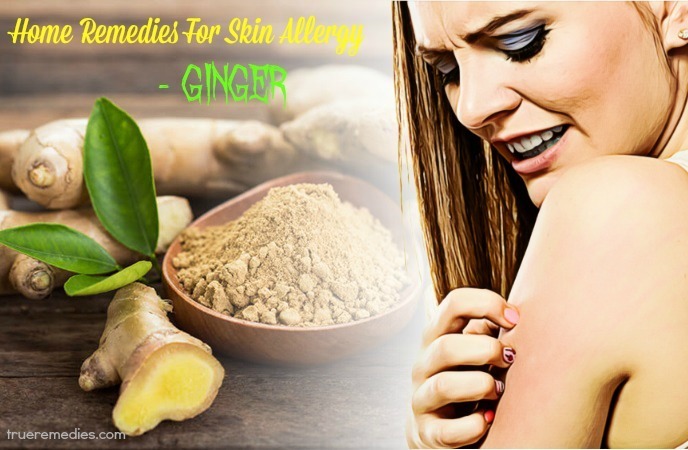 If you have any contributing ideas about our article of “Top 19 Effective Home Remedies For Skin Allergy Itching Relief” introduced in Home Remedies Category, do not hesitate to drop your words below this post. We will answer as soon as we could.